There’s some bad news for Manchester United fans emerging today as it’s claimed goalkeeper David de Gea wants to leave the club for a transfer to Real Madrid. The Spain international has been a world class performer for the Red Devils for close to a decade now, but it seems he’s had enough as he nears the end of his contract at Old Trafford. According to Don Balon, De Gea is eager to leave United for Real Madrid as he wants the chance to compete for major honours, which doesn’t seem to be happening for him in Manchester. 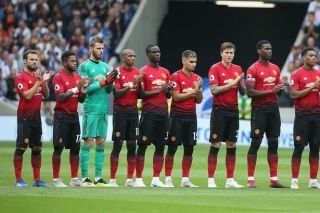 The 28-year-old has been one of United’s best players in the Premier League era, but was somewhat unfortunate to join late on in the Sir Alex Ferguson era, winning just one Premier League title in his time at the club so far. Apart from that, De Gea has had to settle for lesser pieces of silverware like the FA Cup, League Cup and Europa League, with United rarely looking serious title contenders since their last triumph in 2012/13. According to Don Balon, this could see the former Atletico Madrid shot-stopper move on, with his contract up at the end of next season and with Real Madrid keen on him as a replacement for flop signing Thibaut Courtois. While Ole Gunnar Solskjaer has enjoyed a great start to life as interim United manager, this is a big blow for the Norwegian to contend with ahead of possibly getting the job permanently.